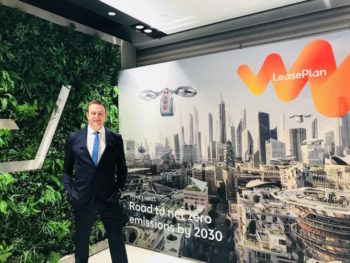 The leasing sector needs long-term support from both manufacturers and Government if the ultra-low emission vehicle sector is to take off in the UK, according to LeasePlan UK managing director, Matt Dyer. Speaking at the Westminster Environment, Energy and Transport Forum this week, Dyer said fleets would need to “lead the way” in order for the Government to achieve targets laid out in its Road to Zero strategy. And, he added, LeasePlan’s customers are welcoming the new technology – the company’s pure electric fleet in the UK has more than doubled in the last 12 months. However, he said long-term decisions had become much harder for fleets to make, or for leasing companies to offer guidance on: “We don’t know if the home and workplace charging grants will go beyond next March, so how can we advise customers about what’s right for them and how can we encourage customers to move to EVs? We still need to know what the long-term future is in terms of support from the Government,” he explained. Dyer also believes the market will accelerate once manufacturers broaden their offer, particularly to include electric “Mondeo estates and Transit vans”, but said the market needs some idea of when these will arrive and in what volumes. Finally, Dyer called for leasing companies to have better access to data, which could help inform fleets about which types of vehicles could be electric. “A completely fresh approach to sharing data will really help give the right level of insight and advice to customers, so they can be at the forefront of making decisions,” he said. His comments come as LeasePlan and Chargemaster partner to enable fleets to lease charging points for home or work, both as part of the monthly payments on the vehicle.